Fort Lauderdale International Boat Show 2017: "Fort Lauderdale, Florida, the "Yachting Capital of the World" will host the 58th Fort Lauderdale International Boat Show on Nov 1-5, 2017. Show exhibits range from yacht builders and designers to exotic cars and brokerage yachts. A wide variety of boats will be on display including runabouts, sportfishers, high performance boats, center consoles, cabin cruisers, flats boats, skiffs, express cruisers, sailing yachts, motor yachts, bowriders, catamarans, ski boats, jet boats, trawlers, inflatables, canoes, and extraordinary superyachts." 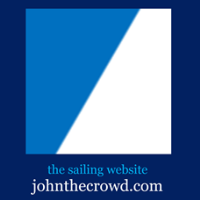 World Match Racing Tour videos above and below, published Oct 29, 2017. World Match Racing Tour video above published Oct 26, 2017. WMRT Finals | World Match Racing Tour, Shenzen, China: The 2017 WMRT Match Racing World Championship in partnership with the China Cup International Regatta, is racing on Shenzhen’s Daya Bay Oct 24-29. As the China Cup moves to its second decade, the World Match Racing Tour, with it’s high performance M32 catamarans at its core, will aid in propelling this highlight on the Asian sailing calendar to a world leading event and keep it at the cutting edge of modern day high-performance sail racing. Shenzhen and the China Cup play host to this hotly anticipated conclusion to the 2017 match racing season. The top 18 teams on the WMRT Leaderboard (allowing one discard) were invited to this competition to battle for the title of Match Racing World Champion. Volvo Ocean Race video above published Oct 28, 2017: A 1,450 nautical mile sprint from Alicante to Lisbon, Leg 1 was the perfect start to the 2017-18 edition of the Volvo Ocean Race. Here's what happened in a concise but rollercoaster 230 seconds! Volvo Ocean Race video above published Oct 29, 2017: After a short but intense sprint from Alicante, Spain Charlie Enright and his crew on Vestas 11th Hour Racing became the first ever Danish-flagged team to win a leg of the race! Volvo Ocean Race video published Oct 24, 2017: The fleet raced through the narrow Gibraltar Strait in 30 knot gusts, tide against wind and close, intense battles. Here's how it looked from the air. VolvoOceanRace.com video above published Oct 22, 2017. LIVE tracker. Extreme Sailing Series video above published Oct 22, 2017: Watch the highlights from a spectacular four days of racing in San Diego for the penultimate Act of the 2017 Extreme Sailing Series. Extreme Sailing Series video above published Oct 20, 2017: The world-class fleet took part in six spectacular races, treating the crowds to plenty of foiling action and hair-raising nosedives. A solid four bullets, a second and a third from the Danish-flagged entry saw it climb a spot to second. ExtremeSailingSeries video above published Oct 19, 2017: Watch the best moments from the opening day of racing in San Diego. The Extreme Sailing Series™ made its debut in the iconic Californian city as the eight-strong international fleet went head-to-head. "The Master left the bridge around 8:00 PM. Before leaving, he told the 3/M that he would be awake for the better part of the 3/M’s watch. 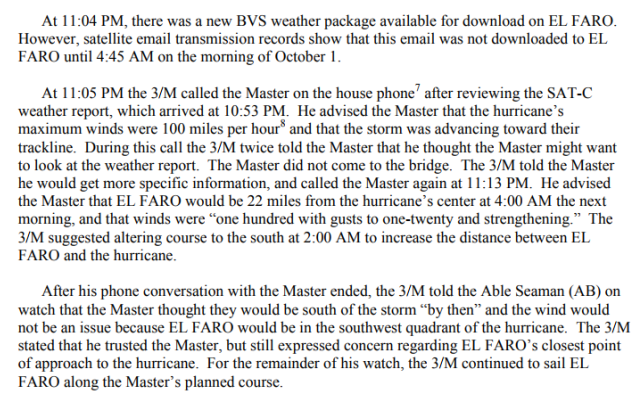 The Master’s voice was not detected on the bridge again until 4:09 AM the next morning [Oct 1, 2017]"--Marine Board’s Report (pdf) on Steam Ship El Faro (O.N. 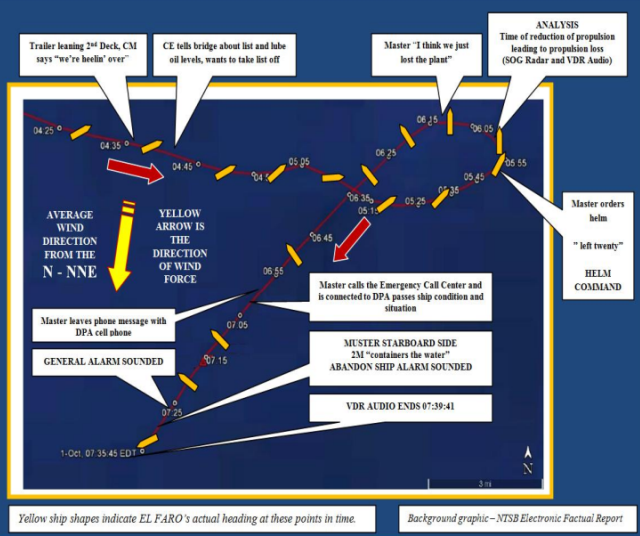 561732), Sinking And Loss Of The Vessel with 33 Persons Missing And Presumed Deceased, Northeast Of Acklins And Crooked Island, Bahamas, On October 1, 2015. The loss of the U.S. flagged cargo vessel EL FARO, along with its 33 member crew, ranks as one of the worst maritime disasters in U.S. history, and resulted in the highest death toll from a U.S. commercial vessel sinking in almost 40 years. 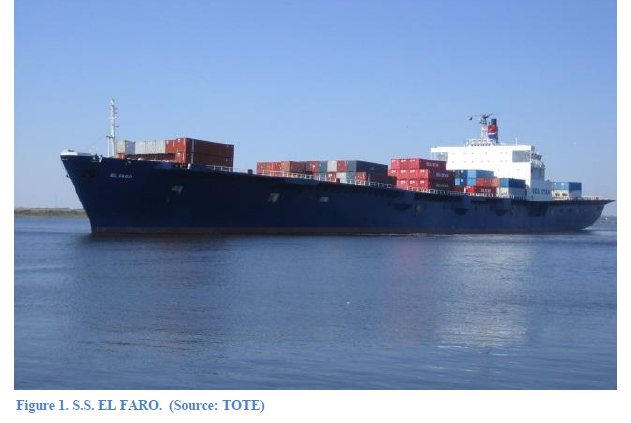 At the time of the sinking, EL FARO was on a U.S. domestic voyage with a full load of containers and roll-on roll-off cargo bound from Jacksonville, Florida to San Juan, Puerto Rico. 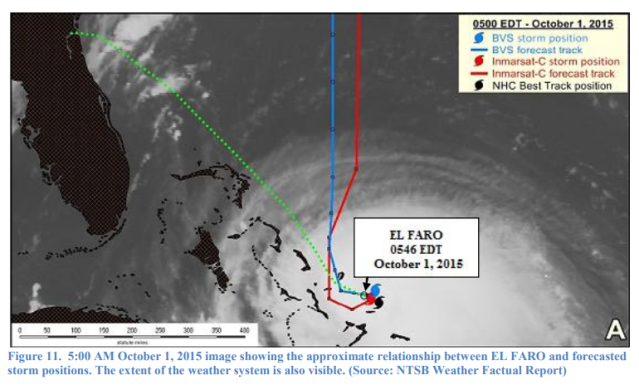 As EL FARO departed port on September 29, 2015, a tropical weather system that had formed east of the Bahamas Islands was rapidly intensifying in strength. 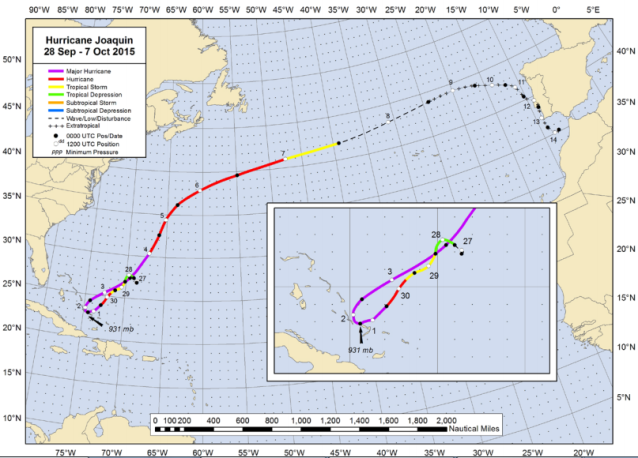 The storm system evolved into Hurricane Joaquin and defied weather forecasts and standard Atlantic Basin hurricane tracking by traveling southwest. 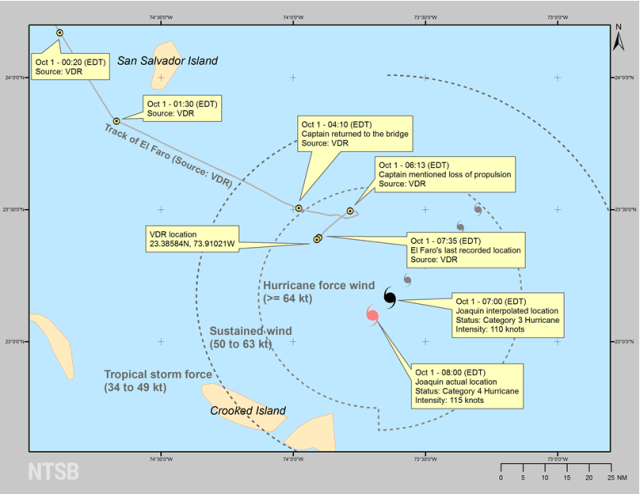 As various weather updates were received onboard EL FARO, the Master directed the ship southward of the direct course to San Juan, which was the normal route. The Master’s southern deviation ultimately steered EL FARO almost directly towards the strengthening hurricane. 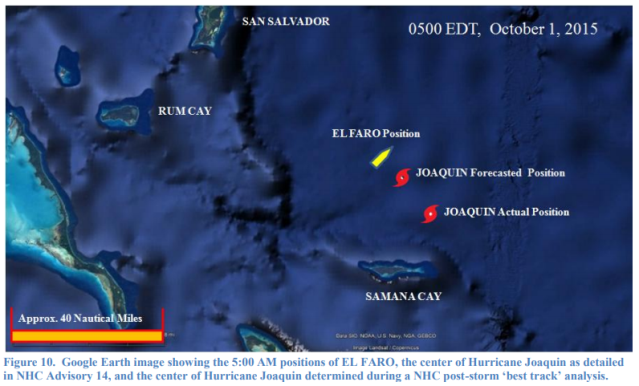 As EL FARO began to encounter heavy seas and winds associated with the outer bands of Hurricane Joaquin, the vessel sustained a prolonged starboard list and began intermittently taking water into the interior of the ship. Shortly after 5:30 AM on the morning of October 1, 2015, flooding was identified in one of the vessel's large cargo holds. 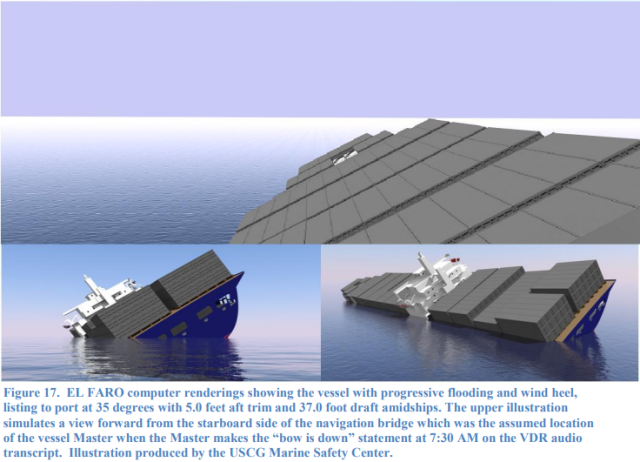 At the same time, EL FARO engineers were struggling to maintain propulsion as the list and motion of the vessel increased. After making a turn to shift the vessel’s list to port, in order to close an open scuttle, EL FARO lost propulsion and began drifting beam to the hurricane force winds and seas. At approximately 7:00 AM, without propulsion and with uncontrolled flooding, the Master notified his company and signaled distress using EL FARO's satellite distress communication system. Shortly after signaling distress, the Master ordered abandon ship. The vessel, at the time, was near the eye of Hurricane Joaquin, which had strengthened to a Category 3 storm. Rescue assets began search operations, and included a U.S. Air National Guard hurricane tracking aircraft overflight of the vessel’s last known position. After hurricane conditions subsided, the Coast Guard commenced additional search operations, with assistance from commercial assets contracted by the vessel’s owner. The search located EL FARO debris and one deceased crewmember. No survivors were located during these search and rescue operations. Volvo Ocean Race video above published Oct 15, 2017: MAPFRE enjoyed an unforgettable homecoming in the first In-Port Race of 2017-18 with a win that saw them cross the line 90 seconds in front of their nearest rivals, Dongfeng. Here's a look at the best bits from the first competitive action of the edition. Volvo Ocean Race MAPFRE In-Port Race October 14, 2017, Alicante, Spain: The In-Port Races are scored separately from the ocean legs but the series is used as a tie-breaker in the final points tally, so teams will take the discipline very seriously. Leg 1 (Alicante to Lisbon) of the round-the-world Volvo Ocean Race (2017-18) starts Oct 22 (full schedule further below). teamAkzoNobel - Brad Jackson to lead team AkzoNobel in the Volvo Ocean Race 2017-18: "Jackson will take on the skipper role as well as his watch captain commitments shared with three-time Volvo Ocean Race veteran and 2008-09 edition winner Joca Signorini (BRA). Jackson’s appointment follows the recent departure of Simeon Tienpont (NED) from the team." GC32 Racing Tour video above published Oct 15, 2017: The winners of the 2017 GC32 Racing Tour silverware were decided today at Marseille One Design. GC32 Racing Tour video above published Oct 14, 2017: Erik Marik’s Zoulou scored a perfect scoreline on day three of Marseille One Design. The French team has pulled out a significant lead of 11 points going into the final day of racing tomorrow. Friday 13th at the Marseille One Design - GC32 Racing Tour UPDATE Oct 13, 2017: An overcast sky prevented the wind from filling on day two of GC32 Racing Tour competition off France's second city. Friday 13th strikes on day two of Marseille One Design | GC32 Racing Tour: "... conditions failed to repeat themselves on Friday, the 13th – day two of GC32 Racing Tour competition at Marseille One Design. Under an overcast sky, the wind remained elusive and the one design foiling catamarans remained tied to the dock at the Marina Olympique du Roucas Blanc, recently announced as the sailing venue for the Paris 2024 Olympic Games ... Day three of racing is scheduled to begin at 1300 tomorrow with the final day on Sunday, when the winner of both Marseille One Design and the 2017 GC32 Racing Tour overall and owner-driver prizes will be awarded, along with the winner of the ANONIMO Speed Challenge." GC32 Racing Tour video above published Oct 12, 2017: The 2017 GC32 Racing Tour's grand finale set sail today on the Rade Sud of France's second city. GC32 Racing Tour video published Sep 5, 2017: High speed foiling and most dramatic moments from the ultra-speed GC32 catamarans from this year's GC32 Racing Tour events in Riva del Garda, Villasimius and Copa del Rey MAPFRE. Events - GC32 Racing Tour 2017's season sailing venues | GC32 Racing Tour: "12–15 October | Marseille, France The 2017 GC32 Racing Tour concludes – as it has done for the past three seasons – with Marseille One Design, held on the Rade Sud off France’s second city. Marseille is renowned for being a ‘big wind’ venue and offers an attractive backdrop of the Frioul Islands and the city, topped by the impressive Basilique Notre-Dame de la Garde church. Organised by Sirius Events, the event will be particular special in 2017 as it will coincide with Marseille being European Capital of Sport in 2017." North Sails has unveiled a game-changing addition to the sail wardrobes of the Volvo Ocean Race fleet – the J0 gennaker. Video published Sep 14, 2017. EmiratesTeamNZ video above published Oct 5, 2017: A bit of precision packing at the Royal New Zealand Yacht Squadron (RNZYS) and the Hilux's are on the road for the Toyota New Zealand #believe regional tour of #NewZealand with some precious cargo. The people turned out to see the Auld Mug! America’s Cup Will Return to Monohulls in 2021 - The New York Times: "Details remain elusive because Team New Zealand does not plan to announce the full specifications for the race until March 31." New York Yacht Club to challenge Team NZ for America's Cup in 2021 | TVNZ: NYYC held the Auld Mug from 1851 until 1983, and is the first syndicate to announce its intent to challenge. Les Voiles de Saint Tropez Officiel video above published Oct 8, 2017. Les Voiles de Saint Tropez Officiel video above published Oct 7, 2017. Les Voiles de Saint Tropez Officiel video published Oct 5, 2017. Les Voiles De St Tropez 2017 | PerformanceYachtRacing.com: "St Tropez is located on the French Riviera near to Cannes and Marseille and is famous for its millionaires as well as being where Brigitte Bardot was discovered. It’s a beautiful part of the world and the regatta is somewhat of an eye opener with the multitude of prestigious super yachts both power and sail around as well as the awesome classics here for the regatta." Regatta starts Monday 2nd October · Lay Day: Thursday 5th October · Regatta finishes: Saturday 7th October · Prize giving party Sunday 8th October. LES VOILES DE SAINT-TROPEZ – Site Officiel: Les Voiles de Saint-Tropez, Sep 30 - Oct 8, 2017 - The Voiles de Saint-Tropez promises a unique gathering, under the invitation of the Société Nautique de Saint-Tropez, of the most beautiful classic and modern yachts in the world, closing the regatta season. Set in the extraordinary light which characterises the end of September and early October, this year will once again have its share of surprises, discoveries and reacquaintances ... (read more here).